Nurture your adventurous spirit and join us for an evening of linguistic discoveries at Europe House! Romanian, the Romance language that is known to be closest to Latin among its linguistic relatives and the only one to be spoken in Eastern Europe, is celebrated in a special event hosted by the European Commission Representation in the UK. 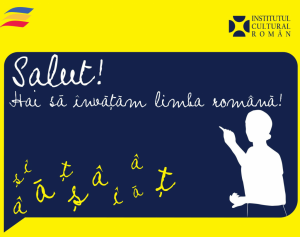 The evening will open with an introduction to the history of the Romanian language by Dr Diana Georgescu of University College London's School of Slavonic and East European Studies, followed by a taster class in Romanian offered by Ramona Gönczöl - also of SSEES. The event promises to equip you with the necessary linguistic and cultural knowledge for a road trip to the unspoilt Carpathian Mountains or a night out in buzzy Bucharest. To help the learning process run smoothly, you will be offered a glass of Romanian wine. No prior knowledge of the language is required. 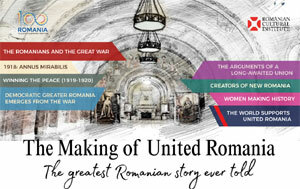 The event is free and aimed at non-Romanians. Please confirm your attendance on EVENTBRITE.